It takes time going through the network the false belief that fines imposed by companies regulated parking are illegal. Whether by chain mails or blogs, the same text runs like wildfire in the 'world wide web', along with a type argument to appeal against such sanctions 'spend time' in areas designated for that purpose. Not to believe everything we read on the Internet and this particular case is of those who have no sense. The text is as follows: 'The fines that put you when we forget to put the blue ticket area are all null and void according to Art 62.1.b of Law 30/1992 of November 26 and Article 3 of Regulation the disciplinary procedure regarding traffic, motor vehicle traffic and road safety, approved by Royal Decree 320/1994 of 25 February. You are not required to pay the blue because for that you pay a tax circulation in your city. When you put "1 euro" in the meter, the Euro goes directly into the pocket of the owner of the private concessionaire and when you have not set ticket placed a brown envelope on the windshield of the car, putting it in the little machine and paying "only 3 Euros"Which will go directly to the pocket of the owner of the company, kindly take away the fine, lol. '' Let Thieves !!!!! . This is laughable, but if you do not pay attention the "3 euros" They falsely claiming that penalty puts a Local Police will send the fine by the Council reaching embargarte bank account if you do not pay in a while you get the amount of 80 Euros, who very kindly you demean 40 euros if you pay within 10 days ,,, hahaha ,,, laughter and all based on fraud against the ignorance of the people in general with win-win except you, the worker '. Most of what here is collected, and which it is capable of thinking that we are scratching in pocket in favor of a private company, it's false. We talked to Mario Arnaldo, director of European Automobile Associates (AEA), and then clarify why this text is one that can be termed 'one of those myths that circulate on the Internet'. This is false. Anyone, whether an individual or private company, has the right to report to law a fact specifically. A complaint made by a person, not an agent, is nothing more than a notification to the authority of a fact that may be subject to sanction. It is the competent authority, in this case, a City Council, which must decide whether the complaint is valid or not to impose a fine. Companies like BE., in the case of Madrid, are in their full right to denounce a driver who has parked his vehicle after hours in designated areas for this purpose. In this type of fines, as issued by the Administration by an instructor, the complainant appears in this case, the company dedicated to regulate parking areas. Another thing is that in this complaint which notifies us, include the identification number of a police officer. That would Reportable fraud, but keep in mind that this is more myth than anything else, no longer happens. It has nothing to pay road tax with parking in areas regulated. 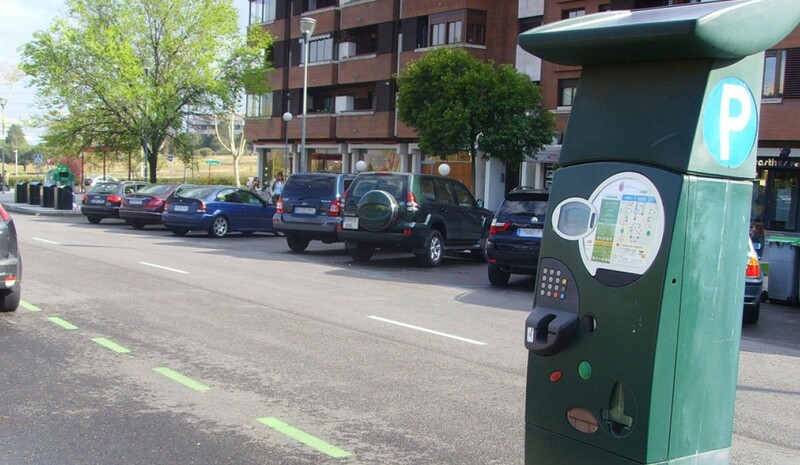 Municipalities decide to regulate in certain areas of the city, usually the center of the parking, and this governs a private company, but We fertilize the fact that this tax does not exempt us from paying for parking in these areas. The full text and type complaint talking about provincial council when normally municipalities who are punished. And worse, it generalizes: each administration is different and theirs will attend and study each case in accordance with local laws of each population. The complaint that facilitate actors in a complaint are mixedNothing does the complainant, which can be any-which includes a private enterprise, with the instructor who notifies the appropriate complaint denounced the sanctioning authority, which decides whether the complaint involves or not a penalty. Likewise, such complaints are usually not published in the BOE and if so, they never include the identification number of an agent or details of the complainant in question. Escierto that the police, on the other guys, enjoy presumption of truthfulness to an event because it is understood to be targets. Therefore, a parking fine imposed by an agent comes from a sanctioning authority. For companies regulated parking, they do not enjoy such authority: They are mere complainants and to the driver are equal before the law. This means that if we turn this kind of fines will always be equal to the authority 'is our word against theirs'. Y what the City can not do is automatically granted to these companies the presumption of truth. One thing that is being done by the government. This is where a driver reported for running time is in the right to request evidence that the complainant has committed an offense and, in turn, to show evidence to refute the complaint. That is to say, municipalities should analyze each case such complaints.